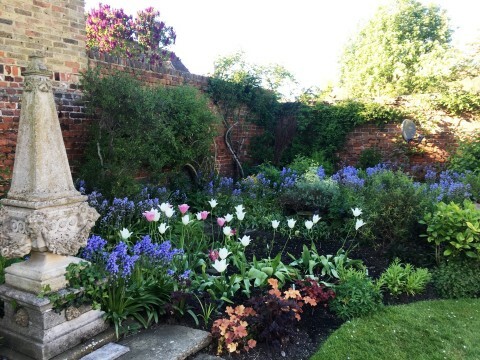 Beautiful blooms are on show during the ever-popular Little Gardens of Sandwich event in east Kent giving garden-lovers a rare opportunity to be inspired by a number of private gardens hidden behind ancient walls of this quaint, medieval town. This year the gardens will be located around the northern area of Sandwich. Afterwards visitors can enjoy cream teas in the St. Mary's Arts Centre, Strand Street, and browse the specialist plant nurseries and enter a garden-themed raffle. Proceeds go to St Clement's Church, Sandwich. Plant sales in St Mary's Arts Centre, Strand Street. £7.50 adults, accompanied under 16s free. Tickets are available at Sandwich Tourist Office, Guildhall, or at the gardens on the day. Head for the northern part of Sandwich.